The Xiaomi Redmi 3S runs on the Qualcomm Snapdragon 430 with octa-core Cortex-A53 CPU clocked at 1.4GHz and new Adreno 505. It's a significant improvement over the Snapdragon 410 on the Redmi 2 and snapping at the heels of the Snapdragon 616. The Redmi 3S comes with 2GB RAM and 16GB storage whereas the more expensive Redmi 3S Prime gets 3GB RAM and 32GB storage. The eight identical processor cores and the newer Adreno 505 should give an edge on the Redmi 3S and its Snapdragon 430 over the other Redmi 3 phones powered by the Snapdragon 616 chip. The single-core performance of an A53 core is nothing to talk about, really. It gets destroyed by the A72 processor inside the Redmi Note 3 (the Snapdragon model). Eight A53 is not an impressive picture either, especially when those are clocked at 1.4 GHz. Those are pretty much on par with the raw processing power of the Oppo F1 (S616), Xiaomi Redmi 3 (S616), but are easily overshadowed by the (more expensive) Redmi Note 3 models (both Helio X10 and Snapdragon). The Huawei P9 Lite powered by the Kirin 650 is quite a threat, too. But the overall CPU performance is about right for the class. AnTuTu 6, which gauges CPU, GPU and memory, places the Redmi 3S on top of the Redmi 3 and 3 Pro and the chip gets close to the Helio X10 performance. BaseMark OS II is another compound benchmark, which additionally tests web performance and system behavior. The Redmi 3S Snapdragon 430 indeed gave it an edge over its Redmi 3 siblings. Finally, the Adreno 505 can perfectly handle any 720p content you throw at it, and that's noticeable in the GFX 3.0 on-screen benchmark. The 1080p Offscreen test results, on the other hand, can show you how the chipset stacks against the competition as far as the raw GPU performance is concerned. You can see the Adreno 505 is more powerful by its Adreno 405 predecessor found in the previous Redmi 3 smartphones. And here are the onscreen results. The 720p resolution is handled with ease by the GPU and you'll have no problems with games whatsoever. The BaseMark X GPU test places the Redmi 3S equal to the Huawei P9 lite and on top of its competitors. 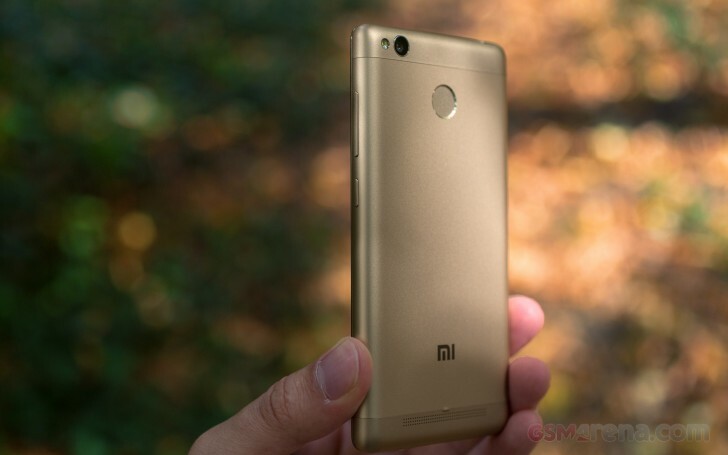 The Snapdragon 430 chipset undoubtedly provides more than enough power for the Redmi 3S - especially since it runs everything on the undemanding 720p screen resolution. The chipset seems like a great match for the Redmi 3S ambitions for providing great day-to-day performance and an excellent feature package on budget pricing. The Adreno 505 provides OpenGL 3.1 compatibility, which pretty much was our only concern we had with the previous Redmi 3 phones. Nice choice of chipset, Xiaomi!